Are Dental Implants in Branford CT the Right Option? Posted April 30th, 2018 by Lillian Price & filed under Dental. Dental Implants in Branford CT are an extremely smart choice for adults with one or more missing teeth. While the cause of missing teeth is vast, this can be a source of embarrassment. With dental implants, there are several benefits that can be seen, with some of the most common highlighted here. Posted April 25th, 2018 by Lillian Price & filed under Dentist. Posted April 20th, 2018 by Lillian Price & filed under Dentist. Oral care is a lifelong responsibility, and you can never overstate the importance of taking care of your teeth. 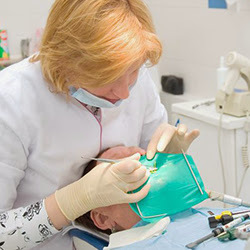 Your dentist aims to maintain, restore, or replace teeth and these services can be taken advantage of at any age. Posted April 18th, 2018 by Lillian Price & filed under Dentist. Posted April 13th, 2018 by Lillian Price & filed under Dentist. Posted April 2nd, 2018 by Lillian Price & filed under Dental.